The Supreme Court on Monday observed that the question whether the challenge to the validity of Article 35A is to be referred to a constitution bench shall be considered by a three-judge bench on August 27. “Article 35A was not incorporated in the Constitution yesterday. It has been there for 60 years, since 1954...now when it is being challenged, the question whether it should go to a constitution bench under Article 145(3) will be determined by a three-judge bench”, remarked the Chief Justice, proceeding to adjourn the hearing to August 27 in view of the absence of Justice D. Y. Chandrachud on Monday. By its affidavit, the state of J & K has sought a dismissal of the petitions challenging the Article. Besides questioning the credibility of the main petitioner, the NGO ‘We, the Citizens’ and alleging delay on their part, the state has raised the ground that the issues in the petitions are no longer res integra, having been adjudicated upon by at least two constitution benches. Strongly Objecting to the averment, the Senior Advocate appearing for petitioner Charu Wali Khanna contended that the panchayat elections in the state have not been held since 2005. Terming the matter as “very serious”, he advanced that the members of the Kashmir Bar Association have been on strike for two days. “5 lakh people have left the place. Children are being deprived of their right to property and education. If my daughter was to get married and leave the state, she would lose the right to inherit my property”, he pressed. 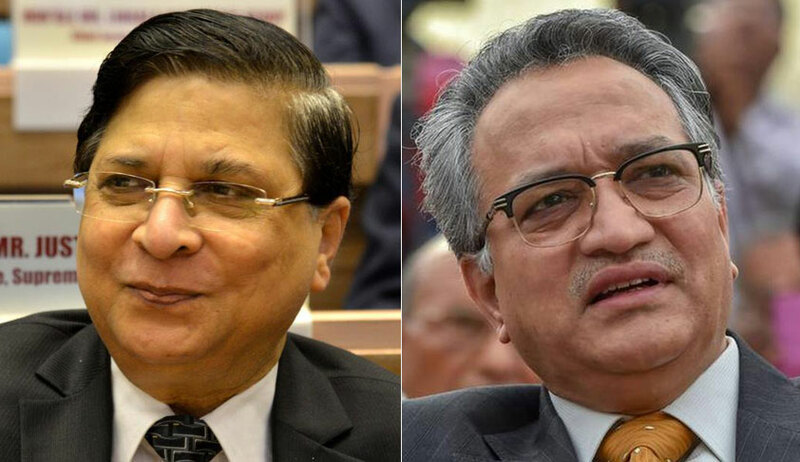 Seemingly disinclined to hear any connected lis, Chief Justice Dipak Misra asserted that there may be no further arguments beyond whether Article 35A is violative of the basic structure of the Constitution. “Our duty is to determine whether it is constitutionally valid. That is all”, noted the bench, also comprising Justice A. M. Khanwilkar. The ASG requested that they reserve the right to reiterate the request for adjournment before the three-judge bench. On Monday, In keeping with his stand on previous occasions, Attorney General K. K. Venugopal submitted that a dialogue is on to devise a solution and accordingly prayed that the hearing be adjourned. The impact of Article 35A, the constitution of J & K and the State Notification No I-L/84 dated April 20, 1927 on Whether the daughter of a permanent resident of the state of Jammu & Kashmir marrying a Non Permanent resident loses her status as a permanent resident of the State of Jammu & Kashmir, to hold , inherit and acquire immovable property in the state has been attacked on the ground of gender bias and infringement of Articles 14 and 15. It may be noted that the J & K High Court in 2002 in State of J & K v. Dr. Susheela Sawney held that a daughter of a permanent resident marrying a non permanent resident will not lose the status of permanent resident of the state of Jammu and Kashmir.